Brief description of product and typical application. Buisiness card holder powder coated orange. 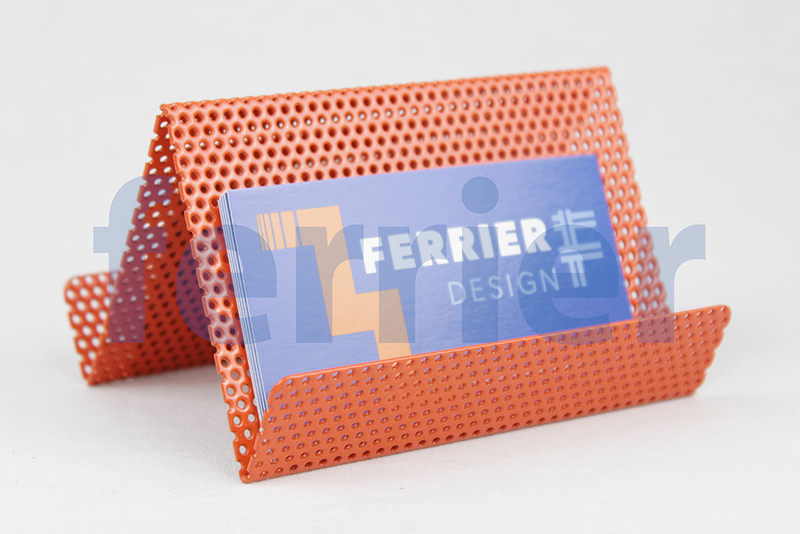 --- Buisiness card holder powder coated orange. 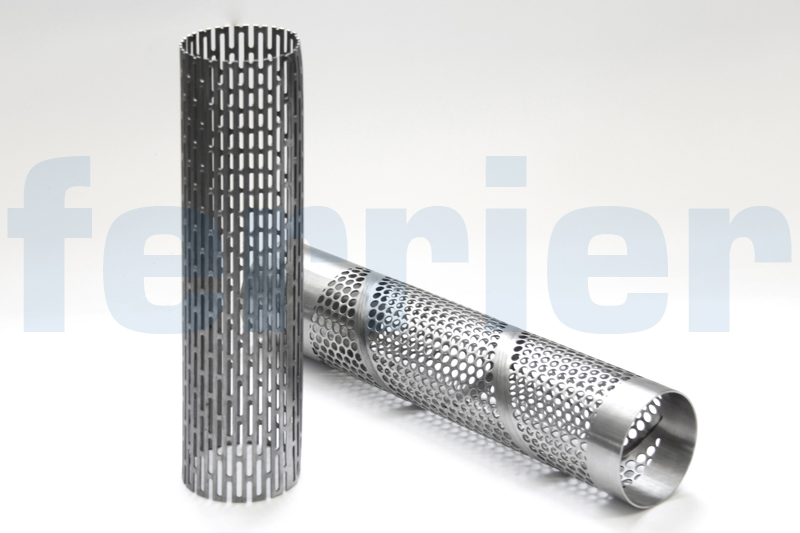 Perforated cylinders. Used as back up tubes and creative lighting applications. 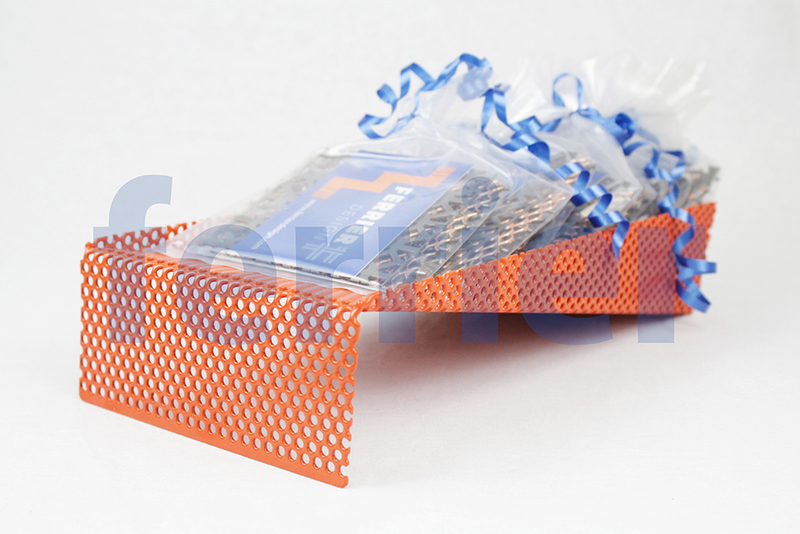 Loot bag holder we made for IIDEX powder coated orange. Lint screen. Used in large commercial dryers. 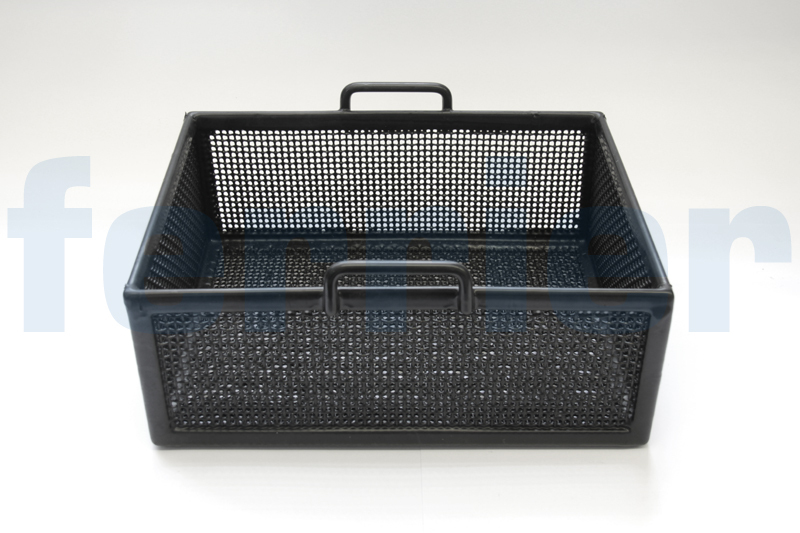 PVC coated basket. Used in parts washers. 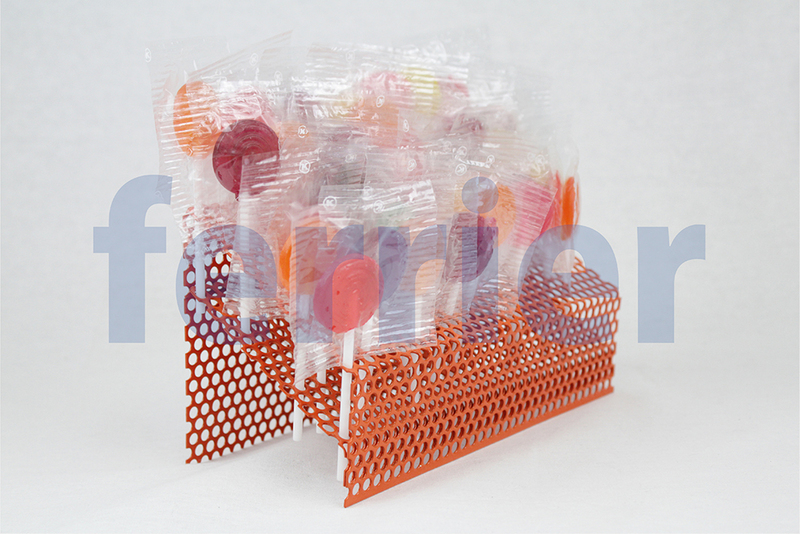 --- PVC coated basket. Used in parts washers. Lollipop theatre for IIDEX powder coated orange. 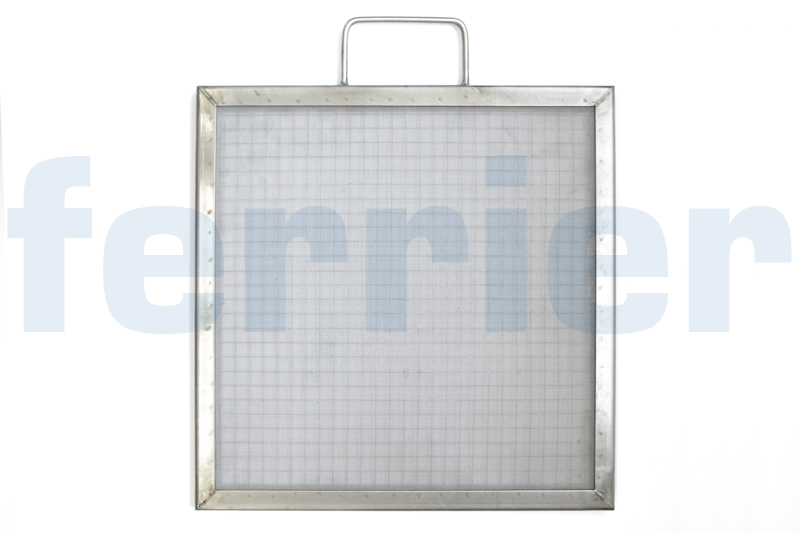 Mesh overscreens. 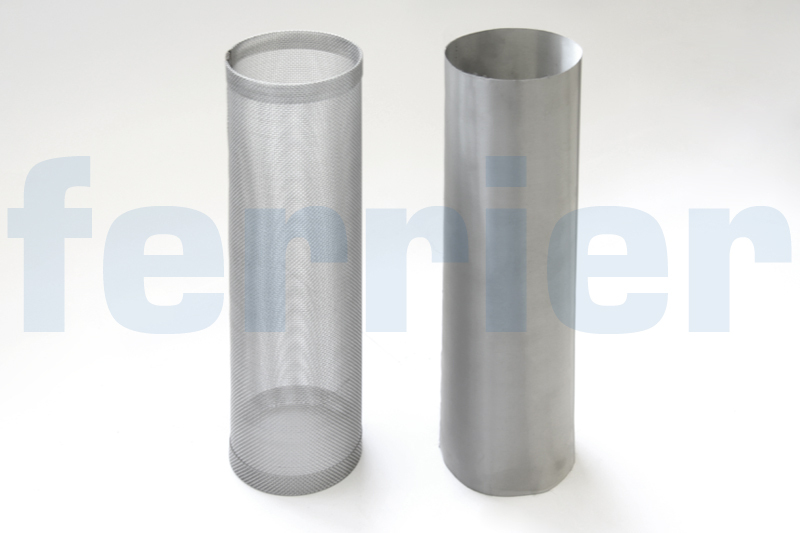 Fit over back up tubes to screen and filter product, usually in food applications. 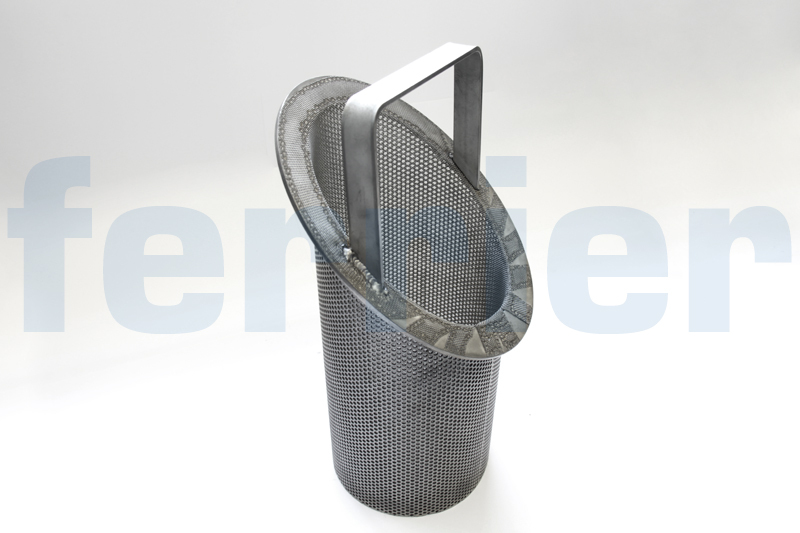 Stainless steel strainer. Various food, chemical and pharmaceutical straining applications. 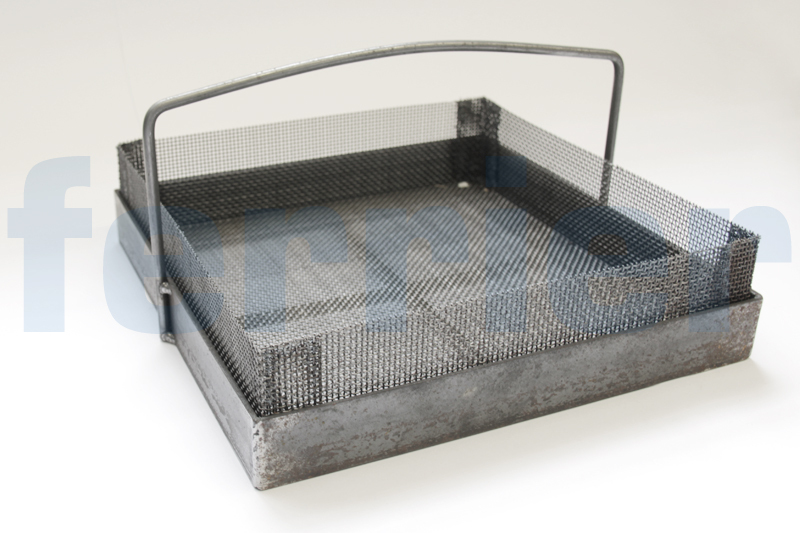 Mild steel mesh basket and support. Used to hold parts for cleaning in washers. 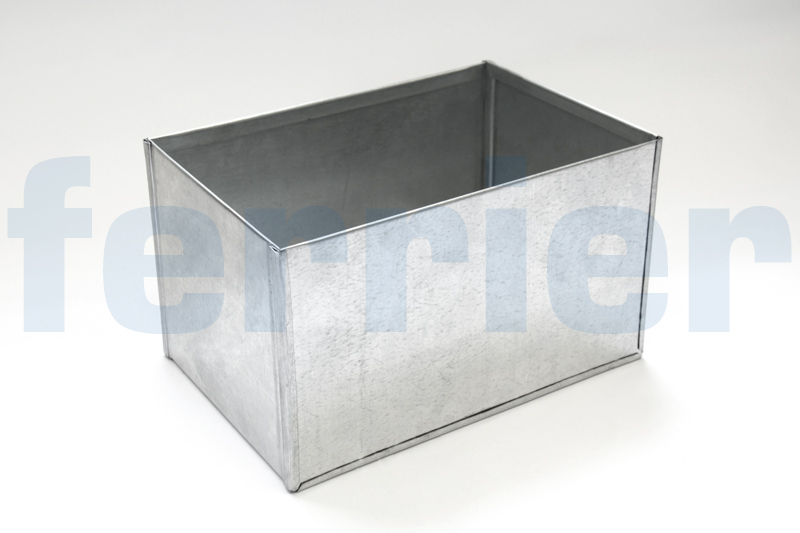 Galvanized sheet metal box. Various applications. 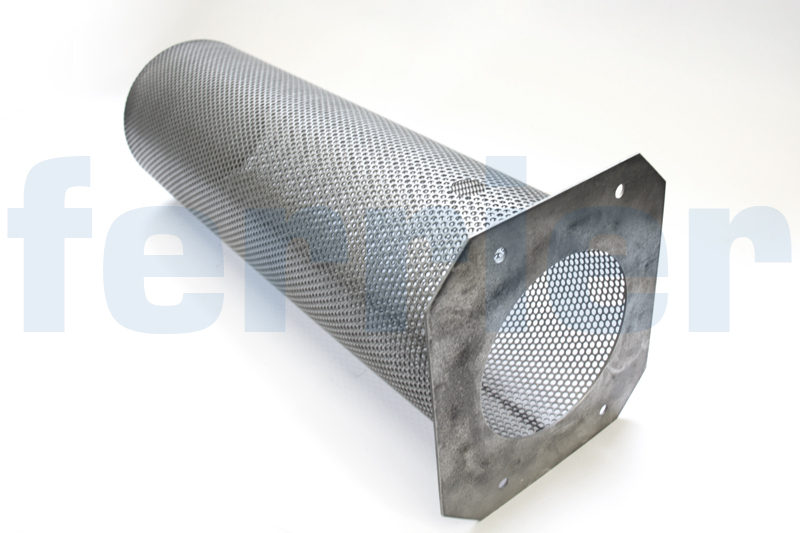 Stainless steel perforated cylinder with flange. Used to prevent debris from cloging pumps in ponds. A variety of rollers (x4), spot welders (x3), brakes (x 2), shears (x2), MIG and TIG welding and other equipment allow us to offer custom fabricating options. If you have any questions about our fabricating abilities, please contact us. Fabricated products at: Kelvin Kellman Boutique Shoe Store, Toronto, Ontario. Fabricated products at: Nathan Phillips Square Eternal Flame Burner Guard. Fabricated products at: Nathan Phillips Square Eternal Flame Burner Guard.